At the height of the Ebola outbreak in West Africa, a prominent physician working in Sierra Leone, Sheikh Humarr Khan, became infected with the virus and died. As Pardis Sabeti and Lara Salahi show, much more could have been done within the medical community and among international actors to protect not only this renowned infectious disease expert but also the well-being of his patients and others affected by this devastating disease. 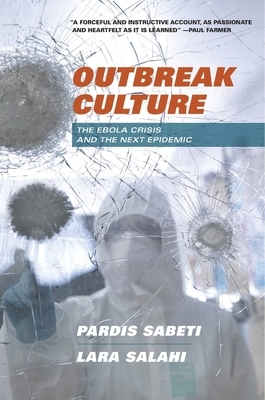 Written by an award-winning genetic researcher and a tenacious journalist, Outbreak Culture examines each phase of the epidemic–the largest and deadliest of its kind–and identifies the factors that kept key information from reaching physicians and complicated the government’s response to the crisis. Drawing insights from clinical workers, data collectors, organizational experts, and scholars, Salahi and Sabeti expose a fractured system that failed to share knowledge of the virus and ensure containment.